During the next 40 days, generous friends of SECU Family House will match every dollar you give to our annual fund until December 1, up to $40,000. 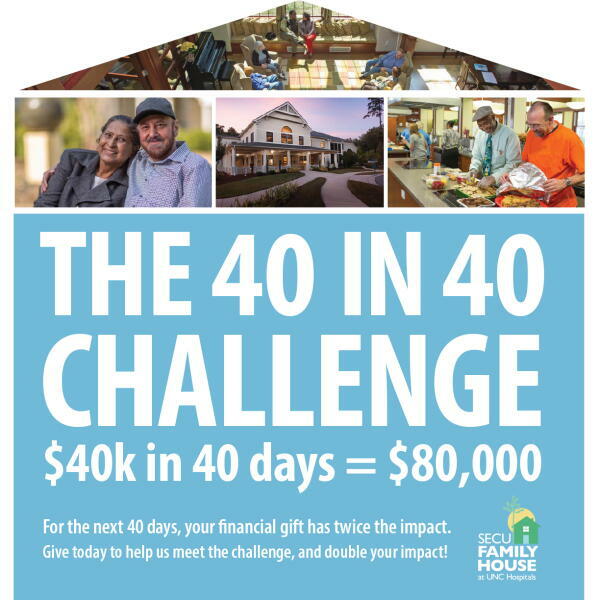 This “challenge match” means your gift can help raise $80,000 to make Family House a home for families who travel to UNC Hospitals for medical care. Please donate by December 1 to help us meet the challenge, and double your impact! Donate online or see other ways to give!